The Kenwood ThermoResist™ Blender BL705 features a high quality brushed metal body, thermal shock resistant goblet, and intuitive performance which make this top-of-the-range blender just perfect for busy and imaginative cooks. Make milkshakes, pesto, hot soups, and smoothies all in in one device with the Thermoresist blender from Kenwood. 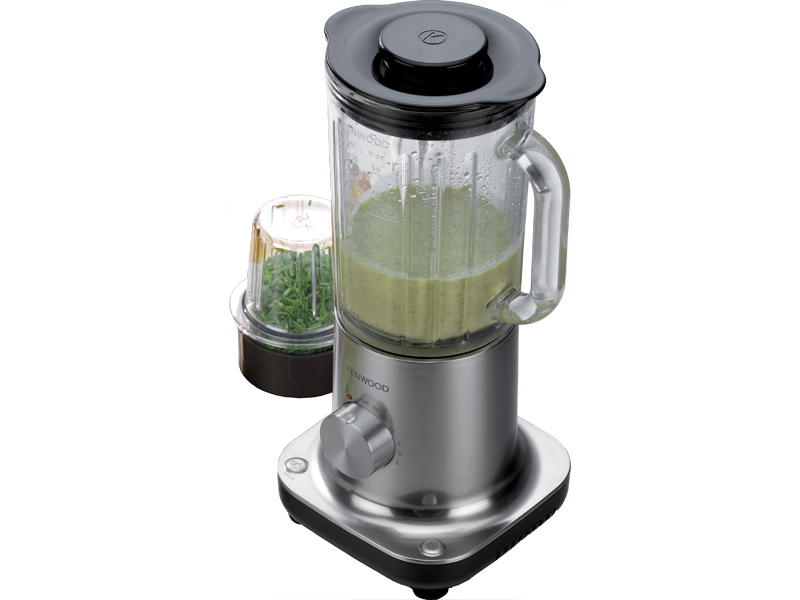 With a brushed chrome finish base and a temperature resistant jar, this blender is crafted specifically to cope with the full range of hot and cold blends. This five speed blender comes with an ice crushing feature and pulse function. It is designed with stainless steel blades that are guaranteed to cut through any ingredients. This blender includes a temperature resistant goblet that's perfect for storing or carrying your blended creation and a mini chopper attachment to prepare your ingredients. With intuitive performance and a host of impressive capabilities, this top of the line blender is sure to be a valued addition to your counter top. You'll also find it extremely tolerant, thanks to the ThermoResist™ glass goblet. You'll be able to switch instantly from blending piping hot soup to crushing ice, and back again, and then put the goblet straight into your dishwasher, without fear of the glass cracking or shattering.